We are delighted to announce that STING will extend his critically-acclaimed Symphonicity world tour to Australia in 2011 and will play some of Australia’s most iconic and atmospheric venues alongside the Melbourne Symphony Orchestra, the Sydney Symphony & the New Zealand Symphony Orchestra – conducted by Steven Mercurio. 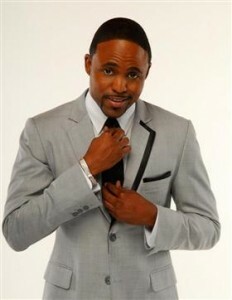 The multi-talented Wayne Brady returns to Australia with his hit Las Vegas Show ‘Making S%!t Up’. Billy Connolly has enjoyed a longstanding career as one of the world’s best-loved comedians. His live shows have been enthralling audiences around the world for over three decades. He has toured relentlessly, beloved by audiences in the British Isles, Australia, and New Zealand — all locations where he made a series of successful “world tour” documentaries for the BBC. His boisterous, animated physical style and off-the-cuff intensity also caught on with American audiences and he now tours the United States more regularly, becoming a familiar sight on late night talk shows. ROBIN WILLIAMS – AWARD-WINNING ACTOR AND COMEDIAN TO EMBARK ON HIS FIRST-EVER STAND-UP COMEDY TOUR OF AUSTRALIA! This November, Robin Williams will bring his critically acclaimed new stand-up comedy tour, entitled “Weapons of Self Destruction”, to Australia. The high-energy show will highlight Williams’ trademark free associations and riffs on social and political absurdities. The show, which toured the US in 2008 and 2009, sold out venues across the country as well as in the UK and Canada and earned the comedian spectacular reviews. 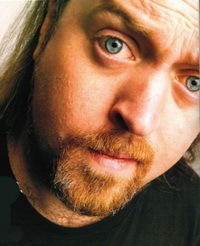 Williams last American comedy tour was in 2002 when he returned to the stand-up scene after a sixteen year hiatus.